Are you an athlete who participates in sports that involve throwing overhead? If so, you may be at risk of developing a shoulder injury. Shoulder arthroscopy is an important surgical technique designed to treat an extensive array of shoulder injuries in a minimally invasive way with limited soft tissue damage. Shoulder surgeon, Dr. Mark Getelman performs shoulder arthroscopy for patients in Los Angeles who have sustained a shoulder injury that requires surgery. Contact Dr. Getelman’s team today! Shoulder arthroscopy is an important surgical technique designed to treat an extensive array of shoulder injuries and conditions in a minimally invasive way with limited soft tissue damage. This shoulder treatment utilizes a small camera called an arthroscope and specialized surgical instruments to examine and repair the shoulder joint and surrounding structures. With this surgical technique, Dr. Mark Getelman, a Greater Los Angeles, California orthopedic shoulder surgeon with offices in Van Nuys and Thousand Oaks, can treat most shoulder injuries and conditions with less pain, reduced risks and a quicker recovery. 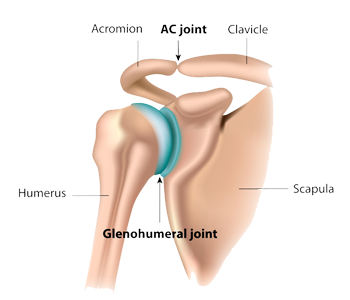 During the shoulder arthroscopy procedure, Dr. Getelman will insert the arthroscope into the shoulder joint through skin portals or tiny holes, to determine the exact injury and severity of the injury. 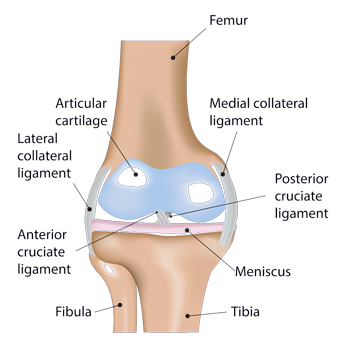 After viewing the injured area, he will use the tiny surgical instruments to manipulate and repair the joint with minimal soft tissue violation. Most cases of arthroscopic shoulder surgery are performed in about an hour by Dr. Getelman and his orthopedic team. Patients can expect to wear a sling for comfort and extra shoulder protection following this surgical shoulder pain treatment. Almost all patients are allowed to return home the same day as surgery. Recovery from shoulder arthroscopy is generally quicker than an open shoulder surgery procedure, but it still may take patients weeks to months to fully recover. During recovery, it is vital patients follow post-operative and rehabilitation protocols provided by Dr. Getelman and his team. The majority of patients take a few days off work and other activities to aid in recovery. Following arthroscopic shoulder surgery, patients can still expect pain, swelling and general discomfort in and around the shoulder joint. Dr. Getelman typically recommends all patients utilize ice packs following surgery to decrease the level of pain and swelling. If pain medication is prescribed, a patient is expected to follow usage instructions provided by Dr. Getelman. Patients are expected to keep the post-operative dressing clean and dry following a surgical shoulder procedure. The bandages must be removed two days after the procedure, not before or after the two day mark. Dr. Getelman then recommends patients cover the sutures with Band-Aids so they do not get caught on clothing, blankets, etc. A patient may shower at this time, but it is important to keep the incisions dry for up to two weeks. Patients are encouraged to participate actively in their physical therapy rehabilitation program. The rehabilitation process between the patient and orthopedic surgeon is critical to success following any shoulder arthroscopy procedure. All patients will be provided with a detailed outline of a rehabilitation protocol, designed to help strengthen the shoulder and increase range of motion following shoulder surgery. For more resources on shoulder arthroscopy, or for additional information on the various shoulder pain treatment options provided by Dr. Mark Getelman, shoulder surgeon, please contact his Van Nuys, Thousand Oaks and Los Angeles, California area office.